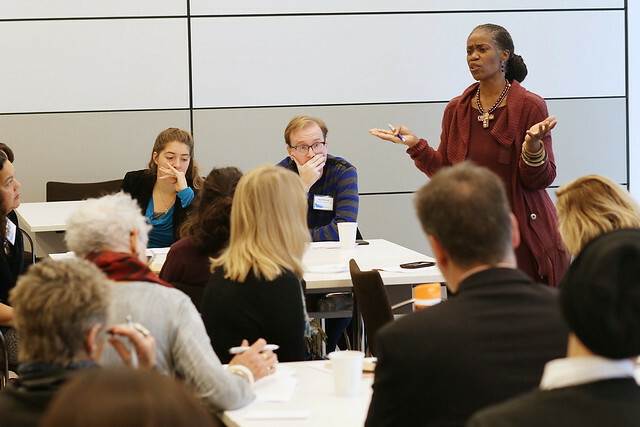 In November, with the support of Bank of America, ArtsBoston brought Carmen Morgan, founder and director of artEquity, to Boston to lead a discussion on issues of representation, equity, and artistic freedom in our shifting artistic community. Carmen’s visit was timely, taking place the week after the election. 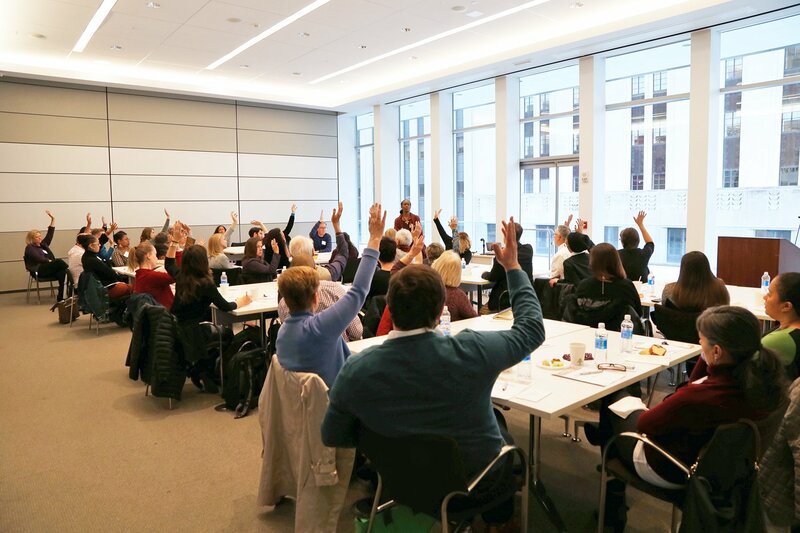 With emotions running high for almost everyone in the room, Carmen took some time to unpack the outcome of the election with attendees before steering the group of 45 arts-makers through a series of inclusion exercises. One of these exercises called Yes, No, Maybe provided an illuminating conversation on challenging questions and statements like “Is it appropriate for a person without a disability to play a role of a person with a disability?” and “An emphasis on diversity may lead to a lack of quality in the arts.” The answers, like the questions themselves, proved to be as complex as one would imagine. As arts-makers, how can we make sure to continue to challenge the old ways of thinking, creating art, and doing business? 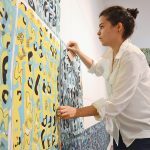 It is the same plan ArtsBoston is following internally and externally as greater Boston’s arts service organization. We are not just providing capacity building opportunities for our member organizations to engage in this work such as Programming Toward Inclusivity or the Network for Arts Administrators of Color (NAAC Boston), we are also making sure that as an organization, we are held to the very same standard. ArtsBoston is committed to Equity, Diversity, and Inclusion in the arts which means a change in organizational values to reflect this change across the organization. For other important resources from Carmen Morgan and artEquity, check out Organizational Traps that Prevent Equity and Inclusion and Strategies that Support Equity and Inclusion; and the difference between Valuing Diversity vs. Moving Toward Inclusion as an organization.